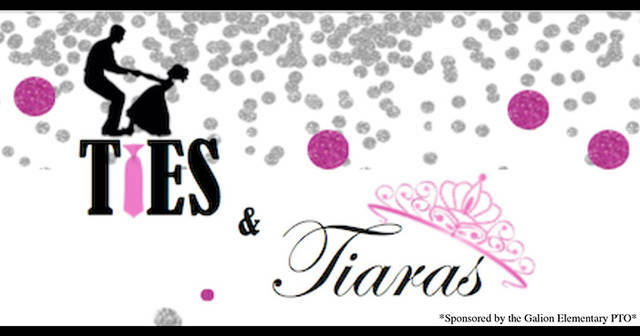 GALION — The Galion Primary/Intermediate Parent-Teacher Organization (PTO) will have its annual father/daughter dance, “Ties and Tiaras”, from 6-8 p.m. at Galion Intermediate School on Feb. 23. The event is for Galion female students in preschool through fifth grade and their special father figures. The evening will feature light snacks, and a featured couples dance taught and led by Kyle Solomon of Olivewood Dance Instruction in Galion. Table linens and backdrops for the event are being donated by The Candi Bar in uptown Galion. The suggested dress attire for the evening is casual with no ties required. Tickets are available for $5 per couple and an additional $2 per sibling, and can be purchased the evening of the event at 5:30 p.m. Please make checks payable to Galion Elementary PTO. For more information about this special evening, please visit the Galion Primary/Intermediate PTO Facebook page at www.facebook.com/galionpto.